The executive leadership workshop, Transformational Leadership: Vertical Development & Beyond, delves into why we lead the way we do. The program offers a stimulating and challenging curriculum that invites you to learn how to exercise leadership with more courage, skill, and effectiveness – especially in challenging times. 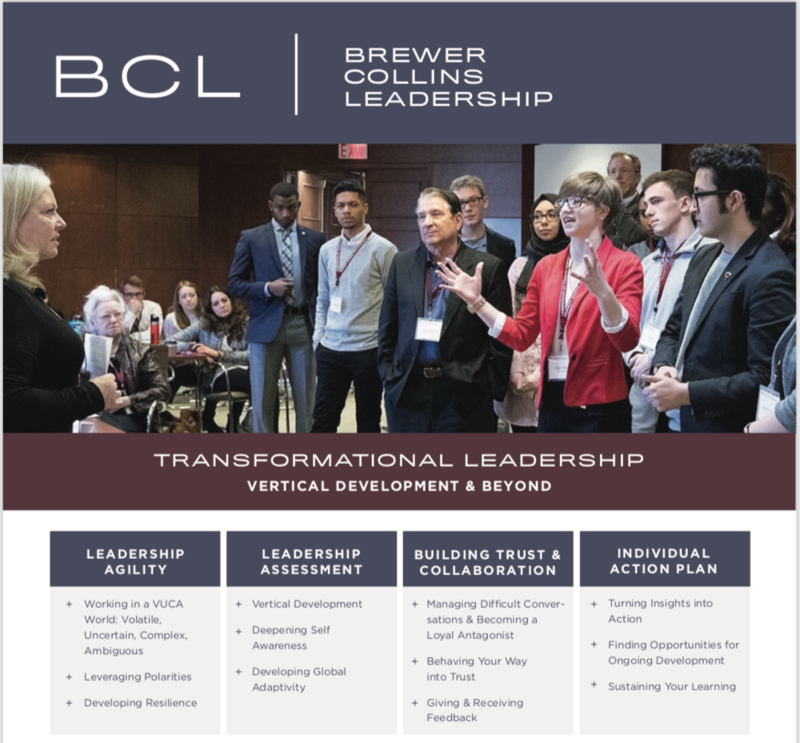 Transformational Leadership: Vertical Development & Beyond is different than other executive leadership programs that focus primarily on building a distinct set of skills and tactics. The program challenges you to look beyond formulating quick technical solutions that try to solve deeper organizational issues and assess your own role in making lasting change. The two-day program requires participants to be actively engaged on several levels—in the classroom, in small groups, and in individual reflection. You’ll leave with a renewed sense of passion for your work, a personal assessment of your next steps, and the tools to transform your leadership.